On June 5, 2017, at approximately 2:50 p.m., the Capital One Bank located in the 3600 block of W. Northwest Highway was robbed. 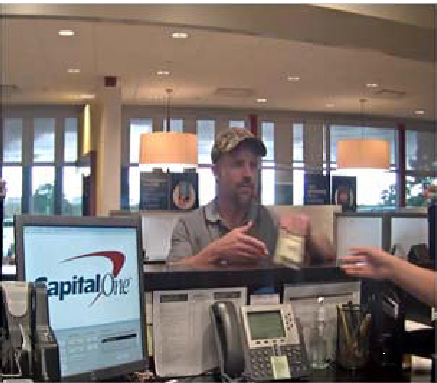 The suspect entered the bank and demanded money from the teller. The suspect received an undetermined amount of money from the bank and fled. No one was injured during this offense. The suspect is described as a White male, between 30-40 years of age, 5’10”, 190lbs, wearing a gray polo shirt, khaki shorts, and a green camo hat.